For a local company which started five years ago, Xjera Labs is doing well. For starters, it’s one of the four organisations who won the Call for Innovative Solutions (CFIS) jointly issued by the Ministry of Home Affairs (MHA) and the Infocomm Media Development Authority (IMDA). CFIS follows the Security Industry Transformation Map, launched by MHA in February 2018, to accelerate the security industry’s digital transformation. Under the terms of the Call, selected organisations will receive funding and be partnered with building owners and security agencies to pilot their innovative solutions to address key challenges in the Security Industry Transformation Map. Xjera Labs is also an IMDA accredited company, under the Accreditation@SGD program. The program hopes to level the playing field for Singaporean tech-product SMEs and launch them into the international market. To-date, twenty accredited companies have raised more than SGD 150 million, during and after accreditation, to fuel their growth. 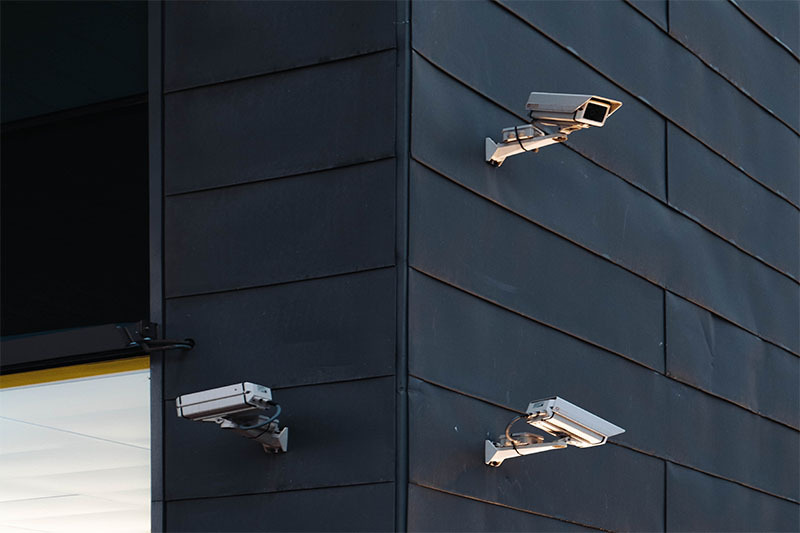 The company’s Founder and Chief Technology Officer, Mr Ethan Chu, shares with us the company’s winning prototype, the Multi-Signal Surveillance Platform (MSS). In partnership with Changi Airport Group and Certis, MSS will pilot indoors at Changi Airport. Starting 1 October 2018, the pilot will run for three to six months. MSS is an automated security surveillance project which combines video analytics with audio intelligence. This is unlike most security cameras in the market which only captures video evidence. Combining sound and light, or co-training, is believed to improve the accuracy which abnormal activities are detected. False positive alerts can be reduced. In turn, the manual monitoring of video feeds can be reduced. For example, by pairing the audio clip of an individual shouting for help or a gunshot, with a related action, the system can pick up salient frames. The patented deep learning technology picks up on recordings which are believed to be abnormal. Following which, guards must discern if something is truly amiss in the alert. According to Mr Chu, this technology is far more efficient. Guards typically face a dizzying array of screens feeding real-time videography all at once. Depending on the size of the property, the number of cameras transmitting information increases. Given human limitations, abnormal activities can be easily glossed over. MSS on the other hand is trained to recognise abnormal language, semantics and human actions. A propriety deep learning neural network using Athena supports MSS. The machine is trained to recognise faces; persons of interest, vehicle flow, crowds, cracks and spalling in the infrastructure, and provide social media satellite image analytics. Various verticals like ports, schools and malls can tap on Xjera’s services. Those who employ MSS as part of their security ecosystem will be able to access the information either on-premise or off the cloud. The former option is available for organisations requiring a higher-level of security. Commercial buildings may opt for the company’s cloud-based services, a more affordable and efficient option since technical issues can be fixed remotely. Using only a small data set collected from Singapore and several other countries, the company has managed to achieve 90% accuracy. Mr Chu testifies that the company requires a single part timer to input data into the system. Even so, the geographic diversity of the data set, in addition to the different modalities, are enough to keep misdirection and false alarms at a low. Mr Chu says the amount of data fed into the machine is a hundred times less than traditional deep learning projects. Bridging the last 10% will be a challenge because acquiring previous footage of relevant scenarios is near impossible. To make up for the lack of access, data is created by acting out foreseeable scenes of distress. However, Mr Chu says the data collected will not be an accurate description of real threats since certain levels of restraint are present in recreated scenarios. Address Certis’ specific use-cases onsite. These human-centric and problem-centric solutions offered by Xjera Labs blazes a trail in reducing suspicions that machines will take over humans. If anything, MSS allows employees to do their job better and drives industry transformation. It’s progress for man and machine.